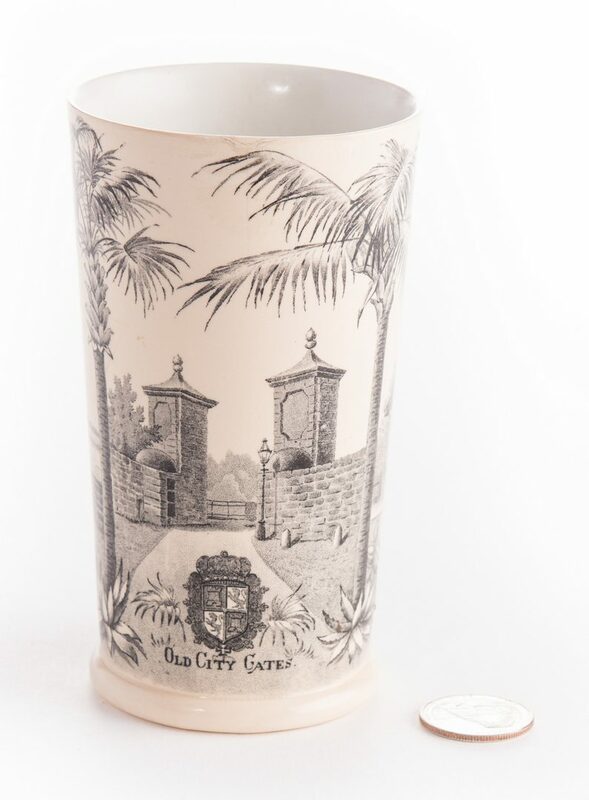 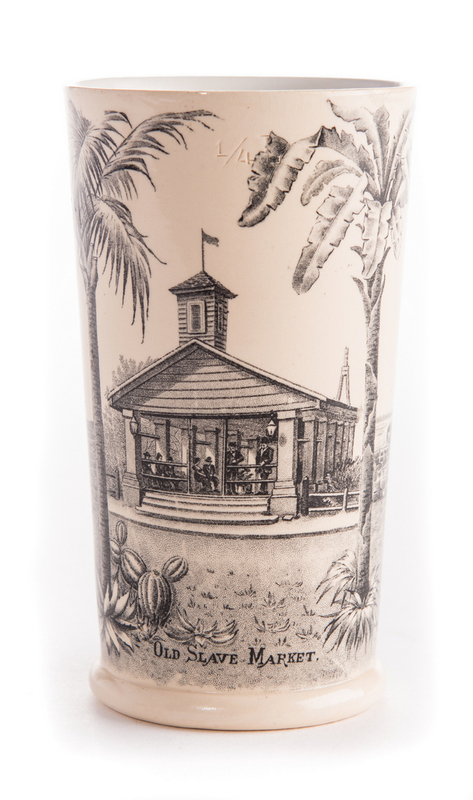 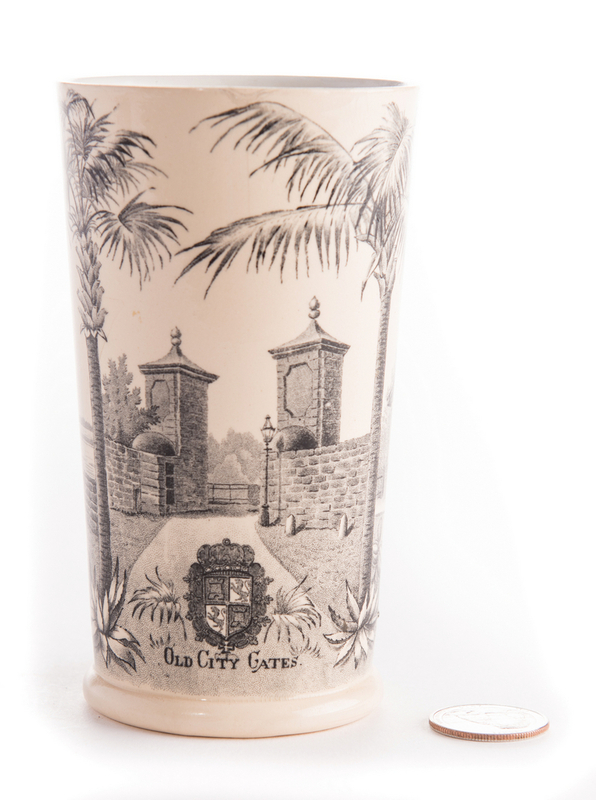 Rare Villeroy & Boch black transferware cup on cream colored ground, depicting the Old Slave Market and Old City Gates of St. Augustine, Florida. 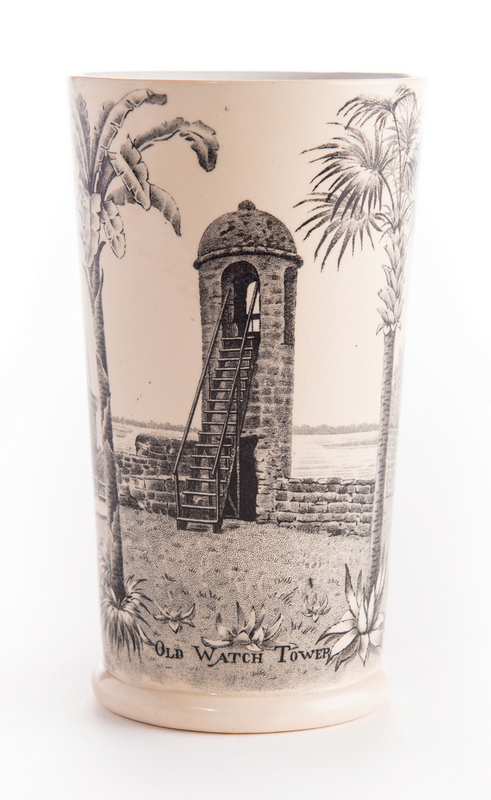 Incised 1/4 L on exterior. 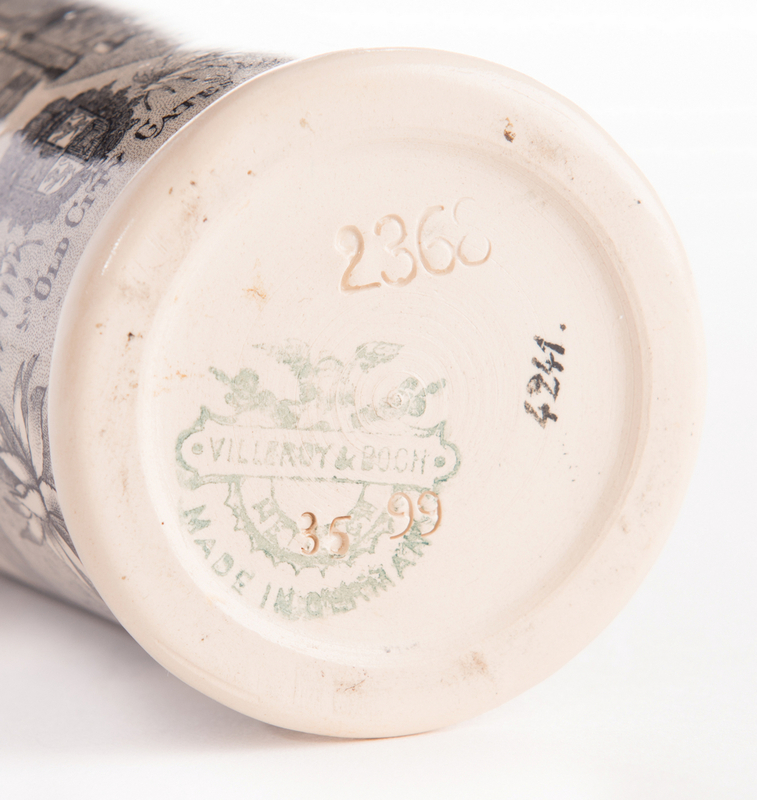 Impressed mark 2368 and printed mark 4241 to underside along with green Villeroy & Boch Mettlach stamp and "Made in Germany." 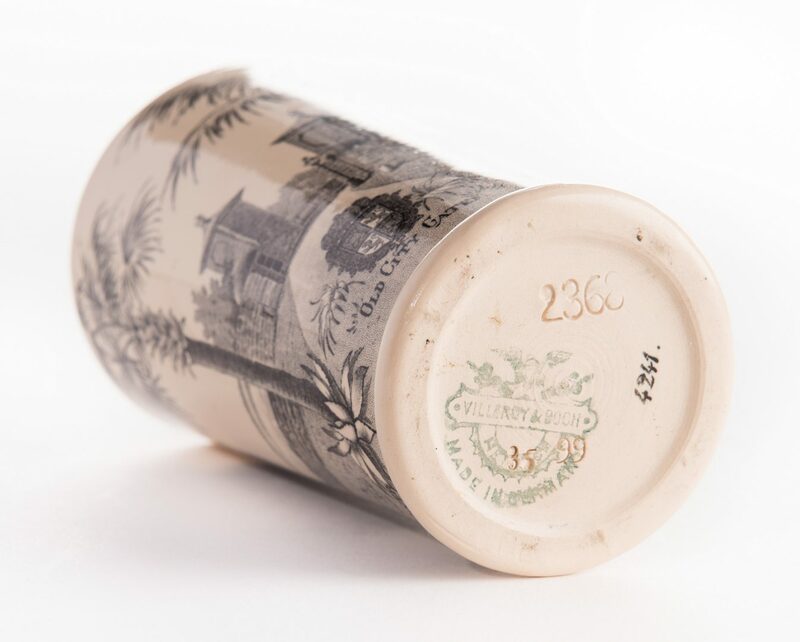 Mark used 1874-present. 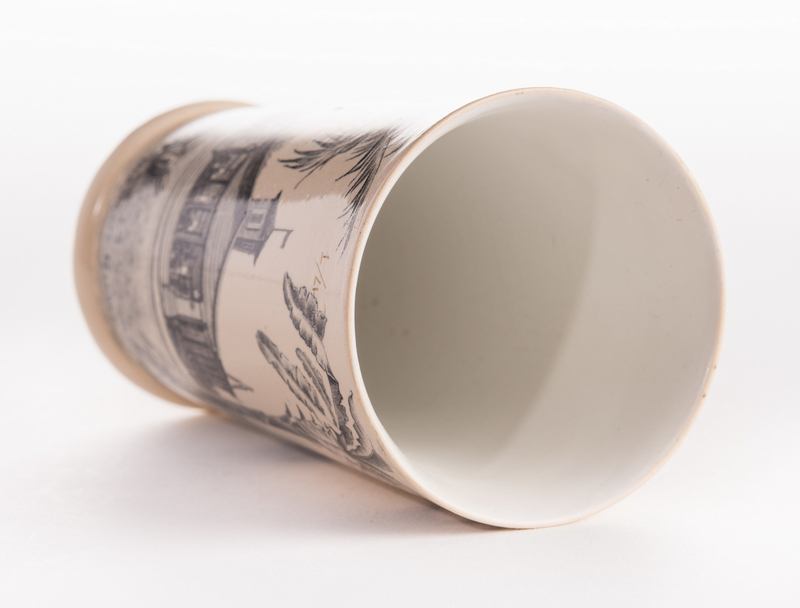 5"H. CONDITION: 1 1/4" hairline to rim.